A superior book that will interest ecotourists, conservationists and amateur naturalists wish to learn more about the green soul of this irresistible country. 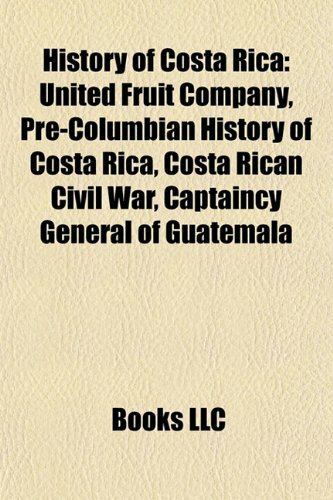 For about the same price,another book that details the history of conservation in the country's diverse geographical zones (seacoasts, prairies, jungles, and volcanic highlands) is "Costa Rica: The Last Country The Gods Made." Interested in the story behind the Natl.Parks of Costa Rica? 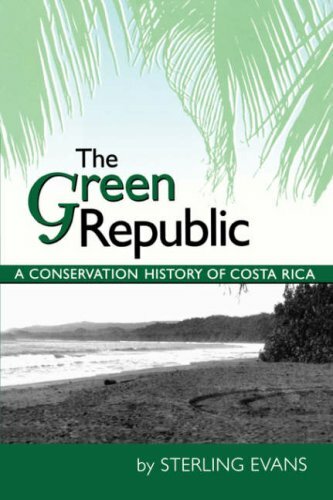 Sterling Evans' The Green Republic is a fascinating account of the development of the NP of Costa Rica.I've visited most of the parks in CR and after reading The Green Republic I have a greater appreciation for them and high admiration for the Costa Rican individuals and non-natives who through hard work, luck and perserverence have created a system of parks unique to Latin America and the world. I particularly enjoyed the anecdotes about the indivuduals and also the tremendous amount of facts the book contains--facts that have a purpose as they paint a complex picture of a country struggling to do the right thing despite enormous pressures to cash in for the easy dollar.The book perhaps does read a bit dry at times, but the overall story is well told and worth the time and money.Great book! Long characterized as an exceptional country within Latin America, Costa Rica has been hailed as a democratic oasis in a continent scorched by dictatorship and revolution; the ecological mecca of a biosphere laid waste by deforestation and urban blight; and an egalitarian, middle-class society blissfully immune to the violent class and racial conflicts that have haunted the region. 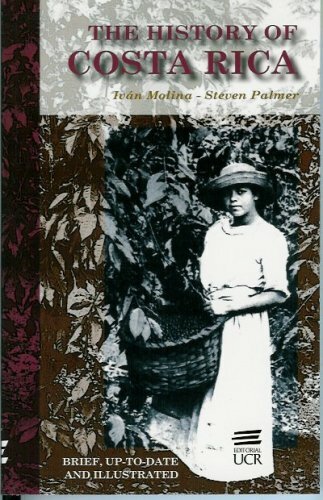 Arguing that conceptions of Costa Rica as a happy anomaly downplay its rich heritage and diverse population, The Costa Rica Reader brings together texts and artwork that reveal the complexity of the country’s past and present. It characterizes Costa Rica as a site of alternatives and possibilities that undermine stereotypes about the region’s history and challenge the idea that current dilemmas facing Latin America are inevitable or insoluble. Rarely does an anthology of original documents of historical value mingled with insightful interpretative essays come together as a coherent work. Steven Palmer and Iván Molina, against those odds, have put the ball in the back of the net with just such a book. 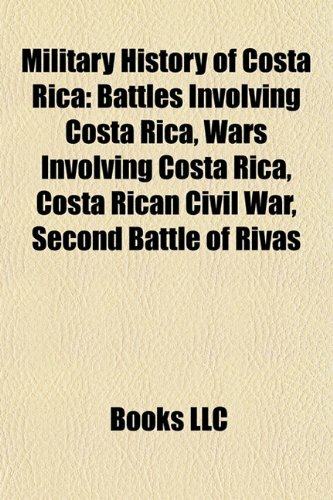 THE COSTA RICA READER'S three-part subtitle (`History, Culture, Politics') is honored along the way with an even touch. 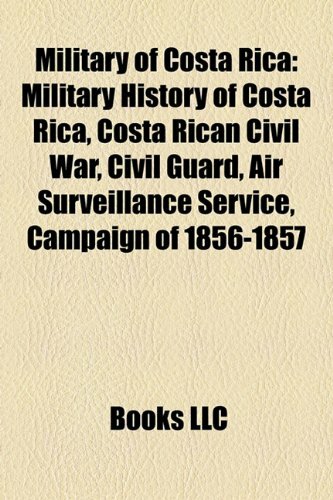 Everyone with an interest in Costa Rica as more than a tourist destination with great beaches will find between the covers of this recent collection the stuff that builds insight and understanding. This reviewer lived for sixteen years in 'tiquicia', together with its four million 'ticos', 'nicas', and assorted hangers-on. The West Virginia-sized patch of mountainous land with its sought-after beaches (I rarely found time to visit them) continues to maintain its grip on my soul. I wish this 2004 Duke University Press publication had been available about 1988. It would have rendered easier learning the lessons of tiquicia that had to come the hard, honest way. No matter, it's here now. 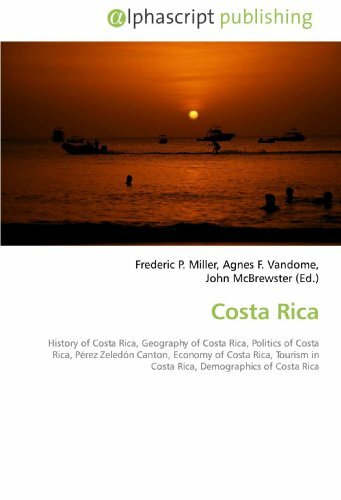 The editors guide us through a nuanced qualification of `Costa Rican exceptionalism', finding in the tico experience--whether lived by the indigenous groups who were not quite so few and compliant as the national mythology suggests in the face of conquest and marginalization or by the 19th century coffee lords with their debt to German mercantilism or the 1980s Nicaraguan refugee whose task it is to decide with which of her divergent constituencies to identify herself--deep continuities with the rest of Latin American experience as well as a dollop of the country's celebrated idiosyncrasies. The seventy-odd pieces are brief, illuminating, and usually excerpted from something larger. Individually and as a collection, they leave the reader wanting more. Which is not unlike Costa Rica itself in the experience of many sojourners there, many of whom will never go back but who at the same time never manage entirely to leave. 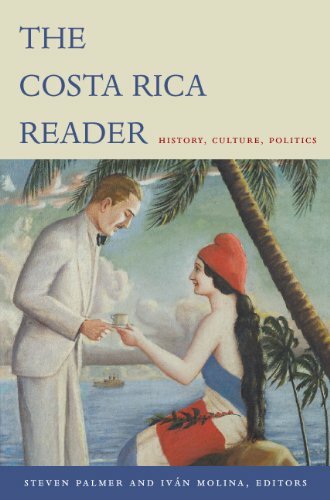 Read by this reviewer on a recent working week back in the land it so effectively describes, THE COSTA RICA READER would be highly recommended at twice the price. I love sociology. This is a great reader presenting different points of view of a complex society.So you know a little about me to judge the (short) review...I've done immersion study in CR and am a master's level student in the us. US born.Also over 40. I own a broad range of field guides of regional faunas.This guide ranks extremely high in multiple areas.It has concise, complete information on ecology and natural history, excellent quality plates, and fascinating narratives based upon recent scientific literature. I really like this book, I have used many Costa Rican field guides extensively, and this is my favorite for mammals.The illustrations are very good, the size is right for the field, and there is a lot of useful information on natural history.The text, while not "dumbed down" in the least is very readable and approachable.The text is also more fun to read than that in most other field guides.Great book and I highly recommend it if you will be in the area. O.K. for general natural history of relatively few species, but there are better field guides. More highly recommended is "A Field Guide to Neotropical Mammals". 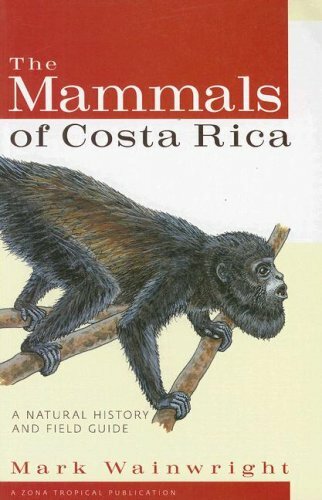 The Mammals of Costa Rica: A Natural History and Field GuideThe best field guide because the information is concise and the size of the book is easy to carry around on field trips. I'm glad this book is available! I have not had a chance to examine this book in depth, but I've looked through it a few times and it has all the essential info you would expect to find, and good photos too. Know the cultural history BEFORE visiting Eastern Costa Rica. This digital document is an article from The Geographical Review, published by American Geographical Society on October 1, 1999. The length of the article is 1435 words. The page length shown above is based on a typical 300-word page. The article is delivered in HTML format and is available in your Amazon.com Digital Locker immediately after purchase. You can view it with any web browser. 13. Some Observations of the Natural History of Costa Rica. This digital document is an article from NotiCen: Central American & Caribbean Affairs, published by Latin American Data Base/Latin American Institute on November 4, 2004. The length of the article is 1462 words. The page length shown above is based on a typical 300-word page. The article is delivered in HTML format and is available in your Amazon.com Digital Locker immediately after purchase. You can view it with any web browser. Title: MYTHS SHATTERED, A CORRUPT COSTA RICA RETHINKS HISTORY. This digital document is an article from Proceso, published by CISA Comunicacion e Informacion, S.A. de C.V. on March 9, 1997. The length of the article is 1928 words. The page length shown above is based on a typical 300-word page. The article is delivered in HTML format and is available in your Amazon.com Digital Locker immediately after purchase. You can view it with any web browser. 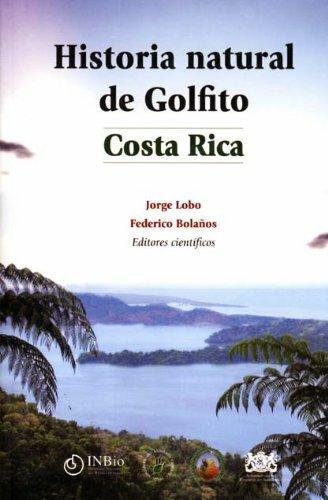 This is a fascinating work describing the distribution and ecology if Costa Rican birds as known in 1964.I suspect that much of the information remains relevant today, though of course some of the nomenclature is unfamiliar to today's birders (it helps to have a current checklist with scientific names as a cross-reference). 20. " 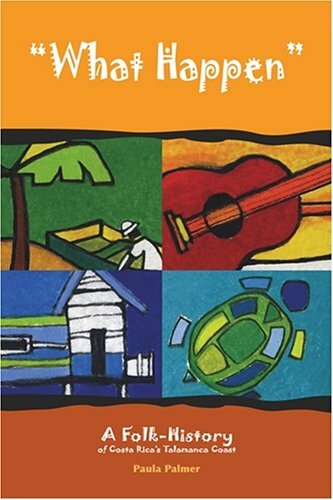 What happen"; a folk-history of Costa Rica's Talamanca Coast.